April 2008 - Hairlicious Inc. Someone on the Black Hair Forum, either yesterday or today, asked if it is beneficial to use heat when deep conditioning? For me, I've noticed better results when deep conditioning with a heat source as opposed to nothing. My hair feels much more moist, thicker, and bouncy!! Thanks to my Gold N Hot Hooded Dryer. Don't get me wrong, using your own natural body heat is great and I've tried it with satisfactory results but it does not compare to using a hooded dryer like at the salon. 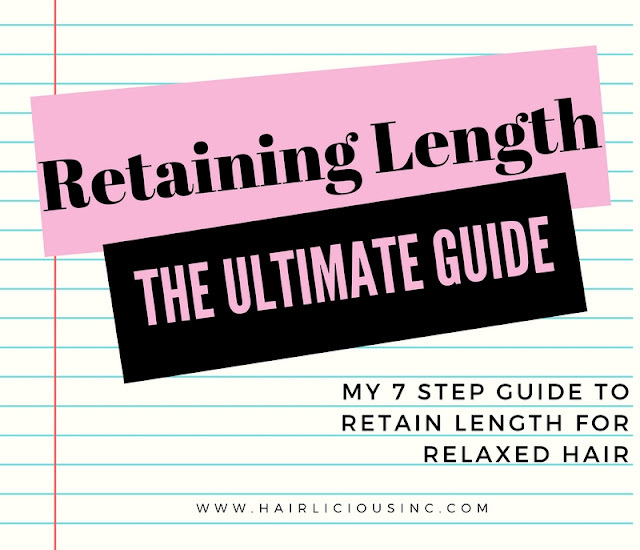 I find that when you are doing deep treatment, it is more beneficial when used with heat, simply because the heat temporarily swells the cuticle and allows the conditioner to better penetrate the hair shaft. The proteins, oils and moisture can then penetrate and attach it self to the damage hair strands (the cortex, which is the most important layer of the hair shaft). I normally pile all my hair (ends included) at the top of my head, cover with a plastic cap and go under the dryer or heating cap for about 20-30mins. The Hot N Gold Dryer can also be used to dry your hair after you've washed and deep conditioned rather than using a blow dryer. After you've detangled, apply your leave-ins (you can either wrap your hair or have it just hanging down straight) and sit under the dryer for as long as it takes to dry your hair. There are 4 heat settings (cool, low, medium and hot), I normally use "medium". It will dry your hair straight & in a healthy way. Try using a hooded dryer and see for yourself! DIRECTIONS: Shampoo hair and towel dry. Apply Cholesterol Cream generously to hair and scalp. 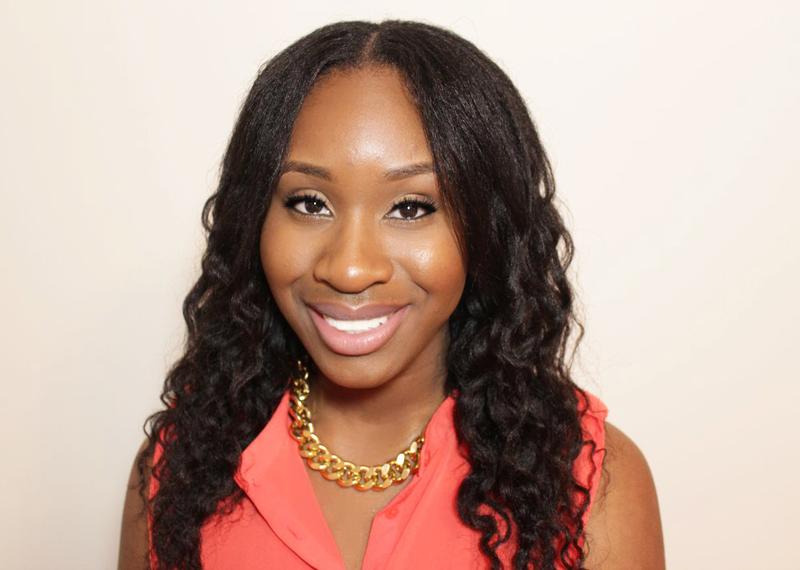 Make sure dry or damaged hair is well covered. Add a few drops of warm water and work into a creamy lather. Cover hair with a plastic cap, then cover with a heating cap or a hot towel. Keep on for 15 to 30 minutes. Remove cap and rinse thoroughly until all cream is removed. Do not shampoo. I decided to give Queen Helene CHOLESTEROL Hair Conditioning Cream another try after hearing good reviews about it on Black Hair Media Forum. I've tried this product in the past and let me tell you I was not impressed. I used it under the dryer for about 25-30mins and it just left my hair dry! I told myself never again but something told me to try it again and see. 3. Rolled my ends to the top of my head and put on a plastic cap. 4. I put on my Gold 'N Hot Professional Conditioning Heat Cap on the highest setting for 40mins. After washing it out I noticed that the texture of my hair changed. I know your probably wondering, "how did it do that when it has SLS in it"? I have no clue. It did not strip my hair or dry it out. My hair was much thicker and soooo soft. I was really shocked! Last time my results were opposite. Mind you, I'm 11 weeks post here so that's really good in my opinion. I even remember my hair dresser using this on my hair with a steamer back in '02 summer and that's when my hair was at its longest!!!!! Queen Helene Cholesterol is now on my good side and I definitely plan on incorporating it into my weekly regimen plus its dirt cheap in price, $3-4. Don't you just love smooth hair?! Well I definately do and I found a cool tip you could use into your daily hair regimen! 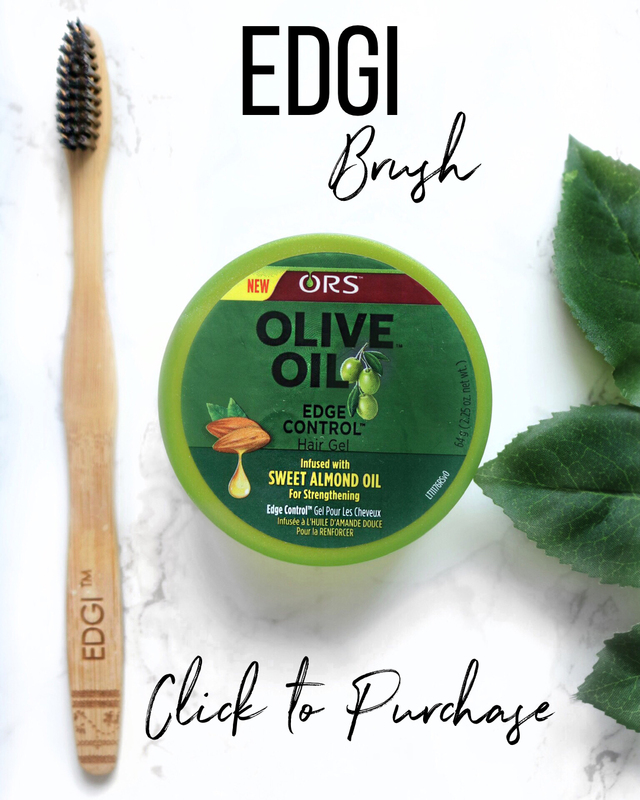 Try using a natural soft boar-bristle brush that has flexible bristles. A boar bristle brush will help give your hair a healthy shine by distributing the natural oils through the hair and stimulate the scalp. The bristles are MUCH softer and more flexible than those found on a nylon brush. It also helps eliminate split ends and other damage. When looking for your brush make sure it says "Pure Boar Bristles" or "Natural Boar Bristles". You can find them at Sally Beauty Supply ($7) or Walmart ($14). I know, since when is Walmart more expensive then Sally's? LOL . I have the Xtra Soft Wooden Boar Bristle Brush. I just bought it from Sally's and I LOVE IT. I normally use it after I have moisturized and sealed my hair. I have smooth touchable hair all day long. You'll wanna find reasons to brush you hair despite all the bad rep you hear. Normally when I stretch my relaxers I spray S Curl No Drip into my scalp to soften my new growth. Well this time around I ran out so I thought to myself "whats the best alternative?.....GLYCERIN!!" Glycerin is also found in S Curl No Drip, its like the 2nd or 3rd ingredient. Glycerin is known to improve moisture and smoothness to your hair. It provides lubrication and acts as a humectant. A humectant draws in moisture into your hair and skin. Glycerin is also highly "hydroscopic" which means that it absorbs water from the air. For example: if you left a bottle of pure glycerin exposed to air in your kitchen, it would take moisture from the air and eventually, it would become 80% glycerin and 20% water. I added 4tsp of 100% pure Glycerin mixed with 5tsp of water. I applied this mixture to my roots and covered my head with a baggy for about an hour. Let me tell you, my new growth was SUPER moisturized. I never had to apply more! My hair was moist for 3 whole days and that's without sealing. Glycerin is the truth and its best when your stretching....makes things easier. I highly recommend this to ANYONE with very dry coarse hair or if your just stretching your relaxer. Or you could purchase S-Curl No Drip Spray or Wave Nouveau Finishing Lotion (my staple) as these products are all "water/glycerin" based and provide your hair with excellent moisture. Apple Cider Vinegar rinses (ACV) are great for hair that has raised cuticles. The acidic nature of the ACV helps tighten and close those raised cuticles allowing your hair to retain more moisture. Sometimes, I would notice that my hair would look very dry and dull because my cuticle wasn't closed and all the moisture was just leaving my hair as quickly as I was trying to put it in. After a ACV rinse, I notice that my hair holds moisture better, its smoother to the touch and has amazing shine. Apple Cider Vinegar also stimulates hair follicles to encourage healthier hair growth. The high acidity and powerful enzymes in Apple Cider Vinegar also supports a healthy scalp. Use 1/4 cup of Apple Cider Vinegar and 2 cups of water. Mix that up and pour it over the hair in the shower as a final rinse after deep conditioning. The rinse will help lock in all the benefits from the Deep Conditioner, into your hair, by closing the cuticles. Rinse thoroughly with lukewarm/cool water. - stiff, hard hair IF you don't use the right amount of ACV and water. The ACV has to be diluted. TIP : If you suffer from porous hair try looking for shampoo's with a pH below 6. So around 4.5-5.5 range. Elasta QP Creme Conditioning Shampoo has a low ph, Joico and Roux makes a porosity control shampoo and conditioner. Im officially 10 weeks post relaxer and for some reason this time around its not that easy. I've noticed recently that I've had a lot of tangles around the new growth/roots area. I just spray it with my moisturizer and detangle with my fingers after I wash my hair. I've also noticed that my ends are noticably thinner than usual. I mean it could be that I have so much growth that my ends just appear thinner, but I know this time around I will be trimming/dusting my ends. I have not trimmed my ends since Nov '07, so my hair is probably telling me to do a light trim, which is cool with me. Only baggy when ends are extremely dry. I limit the amount of moisturizer I put on my hair if I baggy to reduce 'mushy hair'. No longer seal moisture in my hair if using a baggy. I seal the morning after. If I do Apple Cider Vinegar rinses, I do them after my deep conditioner to close the cuticle. I now detangle in the shower with a shower comb and lukewarm water. 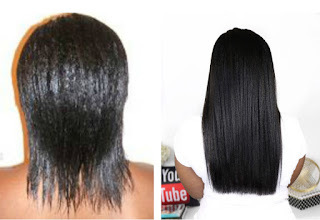 Here is a very Simple & Natural Way to Grow your Hair long. You can use different types of natural oils to give your scalp a nice massage before bed (Jojoba Oil, Amla Oil, Sweet Almond Oil etc.). You should massage your scalp for 5 mins. This makes your hair stronger, thicker, and grow in faster because it allows the blood to circulate and promote more hair growth. 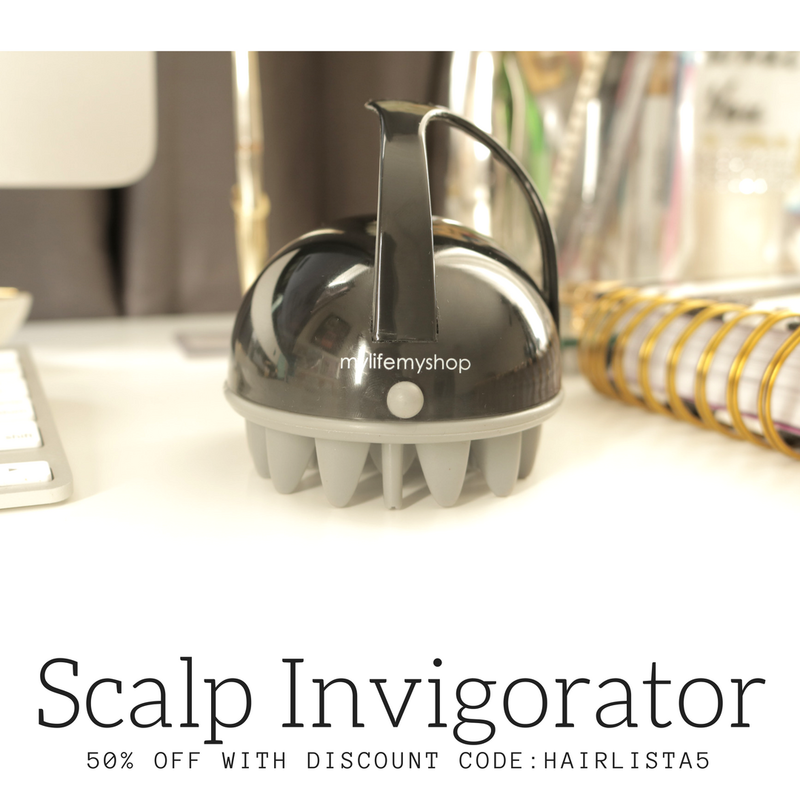 The massage stimulates your scalp's blood supply. The blood then brings nutrients to the follicles and that helps the follicles do their work. In addition, a scalp massage is a great stress reducer. Less stress=more beautiful hair. So treat yourself to a nightly hair message and you'll reap the benefits, longer hair. Tip : Spread your fingers apart and place them firmly on your head. Start at the base of your neck and work your way up to your front hairline. Move in little circles! My hair has done a 360 in terms of how it looks and feels. The steps I took on Friday helped to resolve my "dry/tangled hair" issues. It worked like a charm and I would recommend it to ANYONE who has suffered from what I've just gone through. I'm still in shock because I did this 2 days ago and its STILL soft, manageable, moist and shiny! I think the ACV (Apple Cider Vinegar) rinse really balanced out the Ph levels in my hair. Before it was out of wack! Oh and on top of that, my new growth is laying flat and its noticeably softer than usual, which is a plus in my books!! It's been a while since I've posted, but theres a good reason for that, I've been PARTYING!!!!! My birthday (March 31st) was great and definitely memorable. But back to the hair, my hair has been really acting a fool lately. I'm currently 8 weeks post right and my new growth is rough, dry and brittle. Honestly, I wanna cry I'm so frustrated. I've washed my hair, conditioned it on Monday and today its a hot mess. I'm so upset right now. If thats one thing I can't stand is rough hair!!!! I'm used to it being dry but this is beyond what I can handle. I was thinking and I'm gonna try co-washing, just to add some moisture back into my hair and then I'm going to deep condition (without heat) for 2-3 hrs!!! Hopefully that will restore some suppleness and moisture back into my hair. I can't wait till the day I find a cure to this DRYNESS. I'm still on my hunt y'all, pray for me. I'll post with the updates soon.